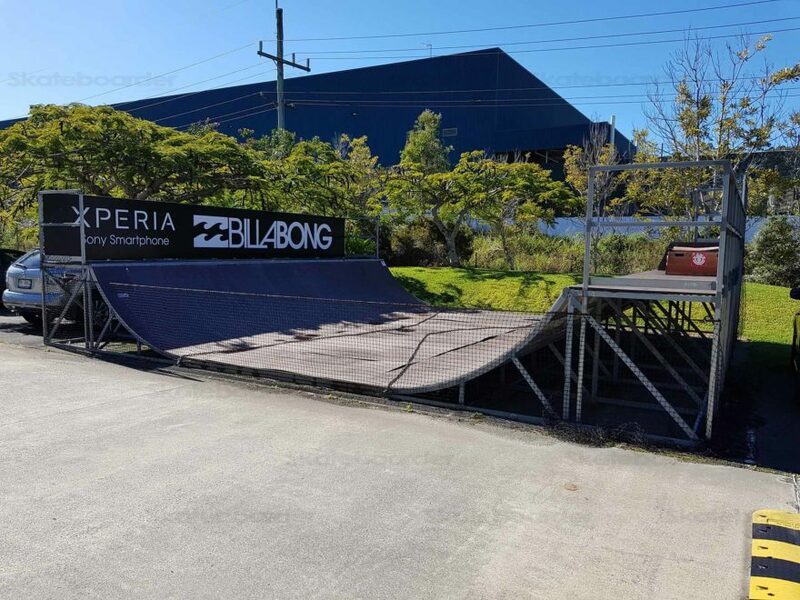 This park underwent a change at the end of 2016 from two quarters and a fun box to a double halfpipe with spine. 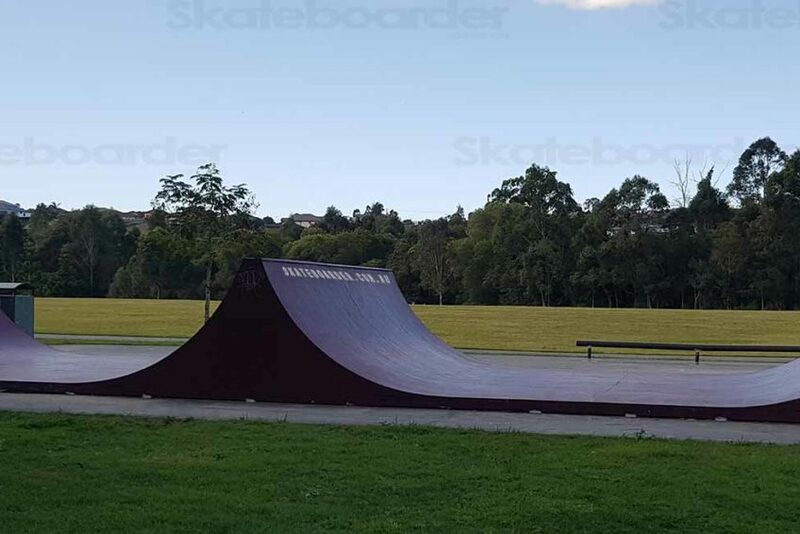 The ramp has a 5ft spine as well as 5ft and 6ft transitions. 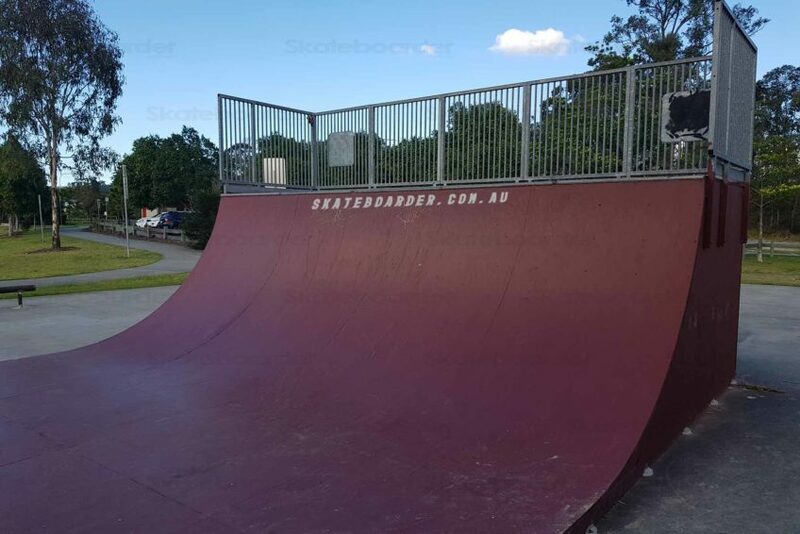 It is pretty smooth although sometimes slippery as it’s painted metal. 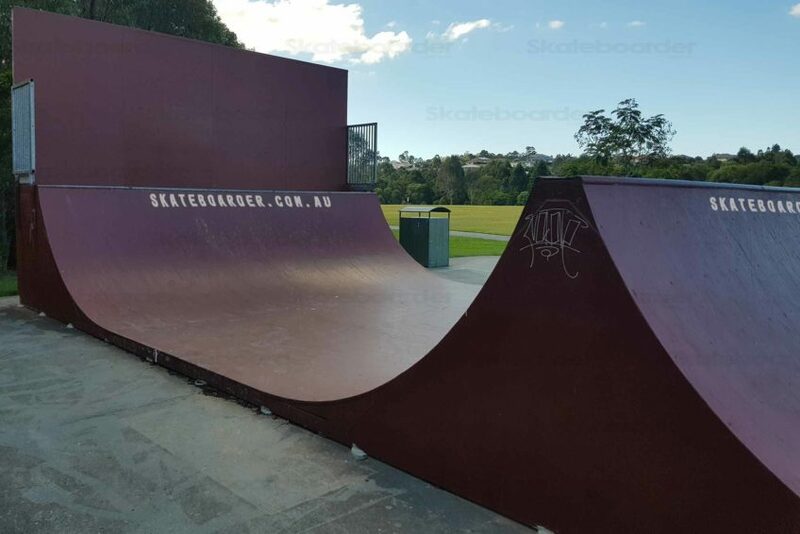 A wall set back on top of the 5ft makes for some interesting tricks. 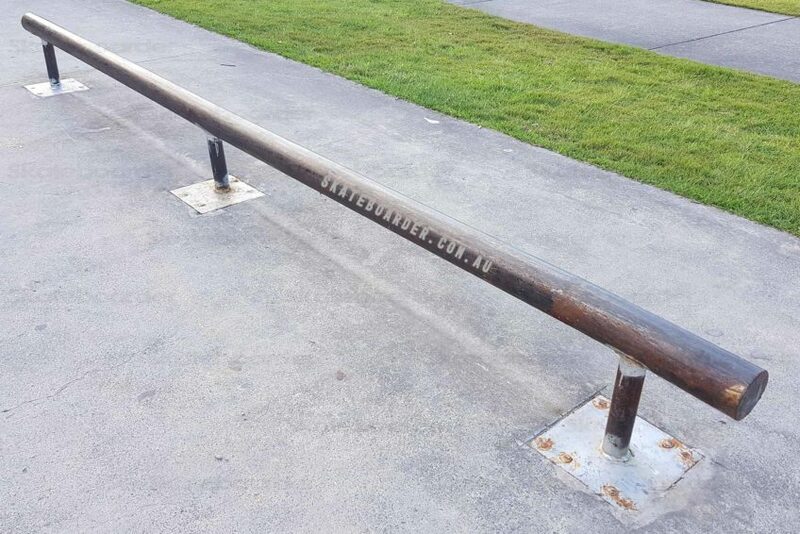 There is a rounded rail on the side as well as a bit of flat concrete but not much else. 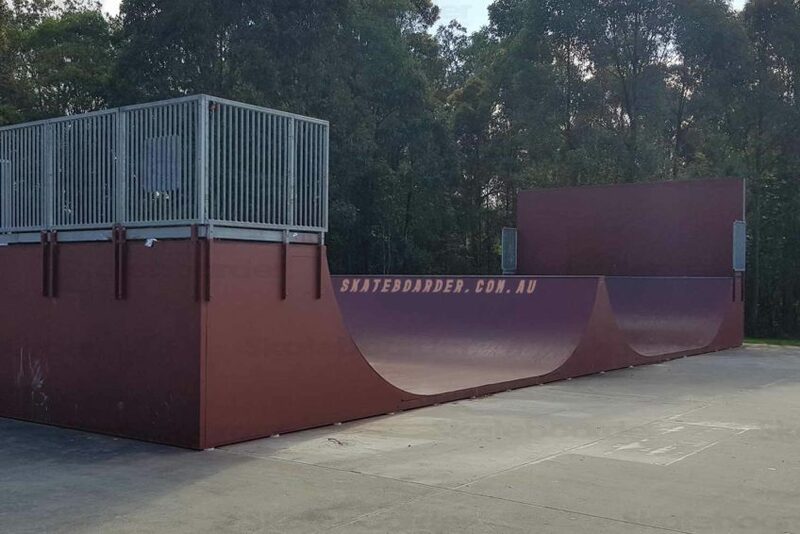 Whilst not as wide or as smooth, it is essentially a bigger tricked up version of the pimpama spine ramp. This is about 5 minutes off the M1 from the Helensvale turnoff and buses stop close by. The park itself has water, toilets and parking. You won’t find many people here which is great if you want to avoid crowds. Even better if you love ramps and not getting snaked.